So Facebook is finally rolling out Timeline to everyone. Even you. Yes, you, who have fought this from the start. It was bound to happen sooner or later. Now you have to face it: You have no choice. Now that we got that out of the way, you’re settled down. You know the facts about your Timeline privacy. You know that nothing’s really changed in terms of your privacy, as long as you’ve already taken care of protecting yourself. 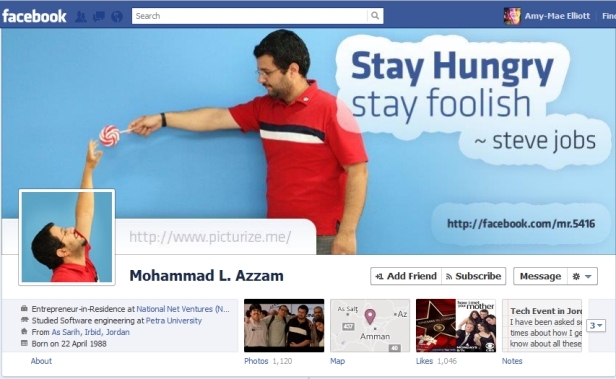 So let’s get to the good stuff: Making your Facebook Timeline look awesome. 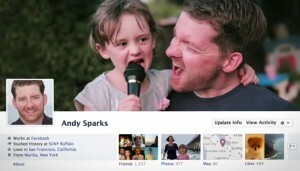 The following is your ultimate guide to Facebook Timeline. Often overlooked in the build-up to Timeline is that… well… It’s pretty freaking cool. Several times since I switched over, I’ve settled disagreements by going back and verifying what happened and when in my Timeline. It can also be a lot of fun reading what you were up to a few years ago. That just wasn’t very easy to do with the old profile. But there’s also the matter of adding items, and we’ll definitely get to that later. So let’s get at it, shall we? Enough messing around. Just hover over your cover photo, and you’ll get an option to “Change Cover.” You may use a photo you already have, but chances are good you don’t have a photo with the proper dimensions. Or you might. But if you really want to get creative and expressive, you’ll want to use a large, high quality photo that you can edit and combine with your profile photo like the one above. Or just use two unrelated photos. Doesn’t matter. Either way, it’s clear from the start how important imagery is for the new Timeline. Take advantage of it. Don’t be boring. Your Timeline is two columns. The line down the middle is — you guessed it — the Timeline. There is a menu of years to the right that will scroll with you and allow you to jump to years quickly if you want (see the example to the right). Maybe you see a place in your Timeline where information is missing and you want to fill it in. Maybe it’s a high school or college graduation. Could be a wedding, birth of a child, move to a new house or a new job. Or maybe it was your own birth. You can fill that in. Hover over the place in your Timeline where you want to add an item. Click and select either Status, Photo, Place or Life Event. 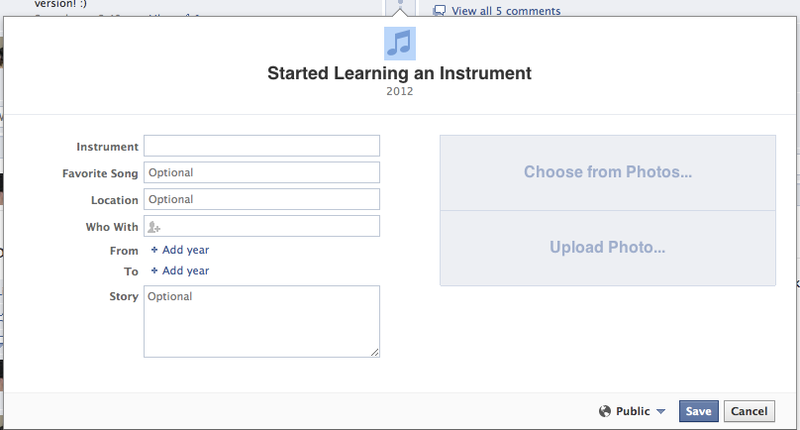 That’s right, you can add a status update to the past. Don’t worry, you can’t abuse this. It will indicate the date you added the update. Under those broad categories are 36 sub-categories to define this new life event. Should I list them here? Sure, why not? There’s some pretty private subject matter in there, particularly when it comes to health and medical. Let’s just be smart about those privacy settings, eh? Facebook already has fields for your instrument, your favorite song that you played, where you played those drums, when you played them and a story behind it. But the real fun is the photo you’d attach to the story. Whether you played drums when you were seven years old may not interest me. But if there’s a picture of you when you were seven playing drums, that could be pretty interesting stuff. Note that with any of these Life Events, you can tag others. Those individuals will remain tagged on your Timeline in that event, but a corresponding event won’t be added to their Timelines until they approve it. Now, one very important part of this process. Note that at the bottom of that image above, there is a privacy icon. And it’s set to Public. I’m not thrilled with this. My default privacy setting is Close Friends. So I shouldn’t have to worry about whether I forgot to set one of these appropriately. So a heads up: Keep a close eye on that. When you go through your Timeline for the first time, expect to find stuff you don’t want to see. Or maybe you’ll find something you want to make more important. If you hover over the star and click “Resize,” it will make a one-column story stretch to two columns or a two-column story shrink to one. Note that if you hide an item from your timeline, you aren’t deleting it. You’re just making it so it’s not prominently displayed. Think you don’t have time to look through every item on your Timeline? Check out the Activity Log (link under your cover photo). This is a page viewable only to you that houses record of everything you’ve done on Facebook. The Activity Log makes it much, much easier to find old updates of yours — both for reminiscing and for removing stuff you don’t want out there. An example would be knowing that there may be old application updates out there you want to remove. You can easily filter to pull those out here. This isn’t meant to be a privacy how-to, but if you find something you don’t like, just click on the circle at the far right of each post to select the option to delete it. What Do You Think of Timeline? Now that you’ve had time to build your own Timeline, what do you think? I know some people who hated it at first but have grown to love it. I know others who still haven’t come around. If you are able to get past the privacy fears (and reading those articles at the top should help), I think you’ll see just how awesome this new feature is. But don’t mind me. I’d love to hear what you think in the comments below!